Sara Bluch sent an email to the radio station saying she wants to advertise her business on our website. Sounds good but it’s just lies. Her email also says her name is saramoupeHE which doesn’t match the email address. She added a link so we can check out her company but it’s a shortened link so you can’t see where it goes to and her actual email address is a gmail account which is not a business address. Bye bye evil scammer. Mr. Ibrahim Mustafa Magu is keen to inform me that my abandoned fund has been found and a compensation payment of $3 million has been approved and is due for payment to me. The email address I should send my details to is brilliantly funny ron.consultantg @gmail.com so I don’t think I’ll be replying. Hitachi Tokyo Iron and Steel would like to offer me an executive opportunity to represent their company in accounting and finance. They believe my expertise would be very helpful in moving their plans forward. The letter is from the president himself of Tokyo Iron and Steel. Wow – they want to offer me a great job despite not even knowing my name (the letter is addressed to ATTN:) Now that’s trust for you. But of course I don’t trust them as it is a simple and brain achingly stupid scam. Rebecca Morris is pleased to tell the world that a student from Cornell University has proved that apple cider vinegar can cut away that belly fat in days with no gym visits or other exercise involved. I just have to click the link to see the proof. Endless scams target people desperate for a magically easy way to reduce weight but there aren’t any of course. Eat less and exercise more is the only way to lose weight. Sophie Gladstone offers 65% off infrastructure today only and wants me to buy an 800 watt UPS. Don’t know what rubbish this is and don’t want to know. Do click on the Facebook or Twitter icons on top right to follow Fight Back Ninja. 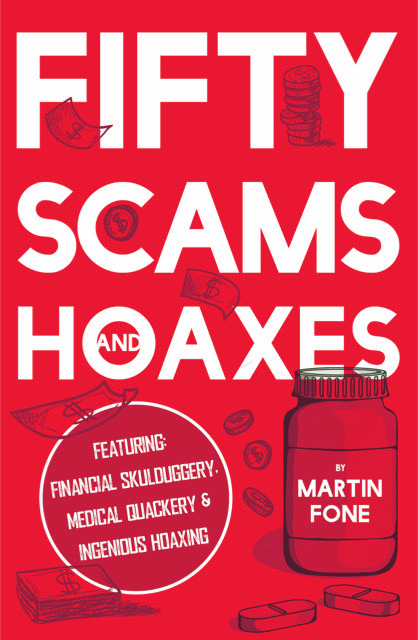 Fifty Scams and Hoaxes is a new book by Martin Fone and is described as a light-hearted investigation into some of the worst examples of financial skulduggery, medical quackery and ingenious hoaxing from history. Along the way he came across a Pope advocating a drink based on cocaine, a pill to avoid hangovers, a woman who gave birth to rabbits, the man who broke the bank twice and the first examples of insurance fraud and scam emails. It’s an easy book to read and is entertaining. 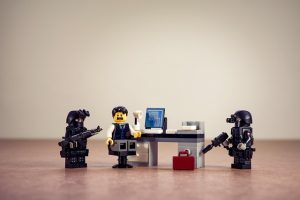 One story that surprised the Fightback Ninja is an early version of the 419 scam, also known as the advance fee scam where the scammer offers a fortune in return for carrying out a simple task. 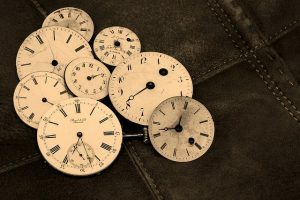 The fortune might be a lock box of gold left by a diplomat that only you can access, or it may be the legacy of a dead relative and you’re the next of kin supposedly or any one of hundreds of such stories. There is no fortune of course and the scammer progressively gets the victim to make a series of small payments for customs clearance or security checks or any other reason until the victim realises it’s a scam and stops paying. Eugene Francois Vidocq in revolutionary France late 18th century specialised in using prison guards to send letters to carefully chosen very wealthy people. The letters claimed he and his master were intending to escape revolutionary France and had a casket containing 1600 francs in gold and diamonds. They had been attacked en route and ditched the casket but now they were safe and had sent a servant to collect the casket but he had ended up in jail. So, if you (the recipient) could send the money to have the servant released then the fortune can be shared with you. The story is quite long and convoluted to add authenticity and is cleverly designed to lure the unsuspecting victim into believing about the fortune. This long ago scam shares many features with the modern day advance fee scams based upon it. Vidocq reckoned that 20% of the letters he sent out ended up with money in his pocket so he became a wealthy man before retiring from the scamming game. Modern day scammers need to send out millions of such messages to make any money from their fraudulent schemes. Michelle O’s Belly is a strange name for an emailer but this one is a typical magic diet scammer. “Most folks are dropping an average of 31.2 pounds in the first 3 weeks. All because of one exotic fruit from Mexico”. Nope – the only thing being lost is any money paid to this scammer. “Hi, My name is Doreatha Micco and I’m interested in a job. I’ve attached a copy of my CV. The password is “1234”. The name is different each time but it’s a simple message to get you to open the attached document which will be loaded with virus or other malware. The reason it has a password is to stop your anti-malware scanning it to warn you. No thanks. An email claiming to be from someone who does work at the radio station and asking if we can make a payment today. Likely the scammer has found the staff name from our website or companies house records or similar. Pay a scammer – not a chance. A message from Frances Moyer stating she has attached the latest credit and collection targets for me to review. No such person at the radio station and no such thing as credit and collection targets. Just a scammer guessing business messages. Mrs Yusuf pleads for my help in getting her and her daughters out of Syria. Why would I want to help? Because she has $238 million to share. That’s quite an incentive but it’s all fake of course – a typical 419 scam where the victim ends up paying lots of small amounts while trying to get their hands on a non-existent pot of gold. This a very old scam and is the origin of the modern Nigerian 419 scams (also called the Advance Fee scam) and shows that some scams have roots from a long time ago. The Spanish Prisoner scam is a confidence trick originating in the late 19th century. 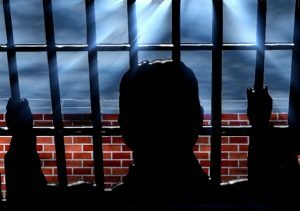 The fraudster tells the victim that he is (or is in correspondence with) a wealthy person of high estate who has been imprisoned in Spain under a false identity. The fraudster offers to let the victim put up some of the funds, with a promise of a greater monetary reward upon release of the prisoner plus another incentive such as gaining the hand of a beautiful woman who is the prisoner’s daughter. After the victim has paid the ransom, he is told that further difficulties have arisen, and more money is needed. The fraudster continues to press for more money until the victim is cleaned out or refuses to pay any more. A key element of the Spanish Prisoner scam is an emphasis on secrecy. The Police cannot be involved and identity of the prisoner cannot be revealed. The scammer will claim to have chosen the victim, based on his reputation for honesty and straight dealing. This fraud came to be known as the “Spanish Prisoner” because, often, the letter-writer claimed to be trapped in a Spanish jail, for reasons arising from the Spanish-American War. The letter was written on thin, blue, cross-lined paper, such as is used for foreign letters, and is written as fairly well-educated foreigners write English, with a word misspelled here and there, and an occasional foreign idiom. In the advance-fee fraud, a valuable item must be ransomed from customs or an impound or lost-baggage service before the authorities realise its value and block the repossession. In the Nigerian 419 scam, a relative of a deposed African dictator or Libyan leader or Iraqi leader (or similar countries leaders) offers to transfer items (gold or diamonds or bearer bonds or just cash) worth millions of dollars to the victim in return for small initial payments to cover release fees and other expenses. Another variation spreads via hijacked social media accounts, where a message is sent to all the social media contacts of the victim, claiming that the victim is in a foreign country, has been robbed, and needs money to be sent immediately to pay for hospital bills or airline tickets or to bribe the Police in order to escape the country etc. and paid by Western Union or similar money transfer agents. 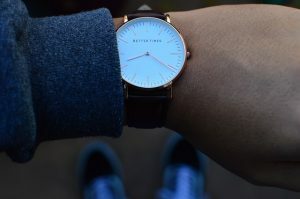 This scam is very well know but large numbers of scammers still use it in some form and people still fall for it in and in total lose hundreds of millions of dollars per year. Tor Arne Andreassen works for Exxon Mobil as a contractor in Stavanger in Norway and wants to make an important business transaction / investment opportunity to discuss with me. He even has a valid domain name for exxonmobil in Norway. But that just means he’s spoofed the email address. An obvious scam. Cody Fox sent me an advert for a new Miracle Hair Growth Formula. Nope – just another dumb scam. James Rusky says he was doing research on some of our competitors and came across our website. He believes there are coding issues that prevent us from having the highest search ranking website we can and he’s the man to fix them. A typical email of which the radio station gets hundreds every month. This one is from salubriousjuicesandmore.2651 @yahoo.com so it’s not a serious SEO request – just random rubbish sent out looking for any kind of response. Mr. Gordon I Emerfiele wants to know if I sanctioned Mrs Anna Gray to claim my outstanding fund. Nope – never heard of her and of course there is no outstanding fund just a scammer looking to catch greedy thoughtless people. Supposedly there have been multiple unsuccessful login attempts on my Microsoft login. But then I don’t have a Microsoft login so it’s clearly someone’s imagination at work. Six people charged in Houston in $7 million international investment scam. The charges against the six individuals were for their participation in an elaborate international advance fee and money laundering scheme. The scheme involved the impersonation of Branch Banking & Trust (BB&T) and JPMorgan Chase (Chase) executives, the fabrication of U.S. government documents, the creation of fraudulent investment agreements in the name of BB&T and Chase and the purchase of luxury vehicles to launder the proceeds of the scheme. The scammers impersonated U.S. bank officials and financial consultants over the Internet and by phone and conned the victims into thinking they would receive millions of dollars of investment funding as part of joint ventures with U.S. banks, usually BB&T or Chase. The scamers used fake Internet domains to make it appear that senders of emails were actually affiliated with BB&T or Chase. To convince victims the opportunities were authentic, the perpetrators recruited U.S. citizens to pose as bank “representatives” at in-person meetings with victims around the world and outside of the USA they used sham visits to the local U.S. embassy or consulate and fabricated U.S. government documents to make the victims believe the U.S. government was sponsoring the investment agreements. The victims were then induced to pay tens of thousands, and often hundreds of thousands, of dollars to U.S.-based bank accounts on the belief that such payments were necessary to complete their investment agreements. Money movers in the U.S. liquidated the proceeds through outgoing wire transfers to exporters, cash withdrawals and purchases of vehicles, including luxury brands such as Land Rover and Mercedes Benz, which were then shipped to Nigeria. The scheme resulted in losses of more than $7 million from victims in more than 20 countries. To date, a house in Richmond, a Range Rover car and approximately $200,000 in cash have been seized. Do enter your email address and click on the subscribe button on top right to keep up to date with new posts.